Lok Sabha Elections 2019: The Khajuraho Lok Sabha Constituency in the central Indian state of Madhya Pradesh came into existence in the year 1957 and is one of the most crucial seats. 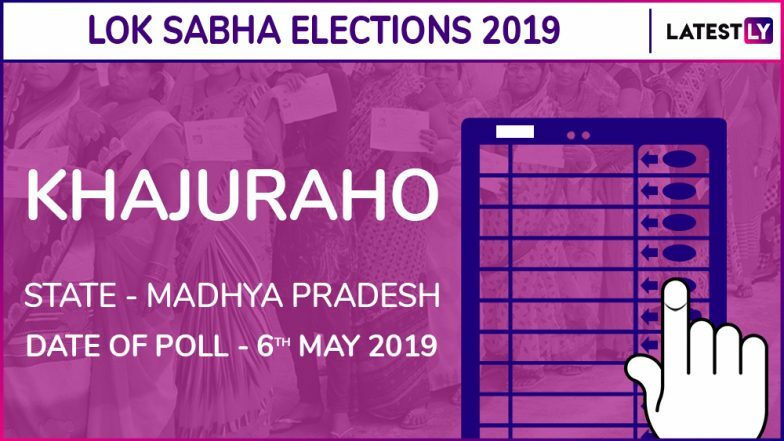 Voting for the Khajuraho Parliamentary Constituency will take place in the fifth phase of General Elections 2019 on May 6. Khajuraho has been a Bharatiya Janata Party (BJP) stronghold with Uma Bharti having been a four-time MP from this seat. The Khajuraho seat consists of eight Assembly constituencies. These include Panna, Rajnagar and Chandla among others. Lok Sabha Elections 2019 Schedule: Voting In 7 Phases From April 11 to May 19, Counting And Results On May 23; Check All Dates For General Elections. The candidates from the Khajuraho seat are yet to file their nomination for the Lok Sabha Polls 2019. The last date of filing nomination on this seat is April 18. The last date for withdrawal of nomination is April 22. The date of polling is May 6. Madhya Pradesh Lok Sabha Elections 2019 Schedule: Constituency Wise Dates Of Voting And Results For MP General Elections. The Khajuraho seat has been a BJP stronghold for years. Nagendra Singh of the BJP had won the 2014 Lok Sabha election from the Khajuraho seat. He had defeated Raja Pateria of the Congress on this seat. Singh is the sitting MP from Khajuraho.